Edinburg Mayor Richard Molina at a check presentation at the UTRGV Performing Arts Complex on Friday, Sept. 28, where the city of Edinburg donated $1 million to the UTRGV School of Medicine. 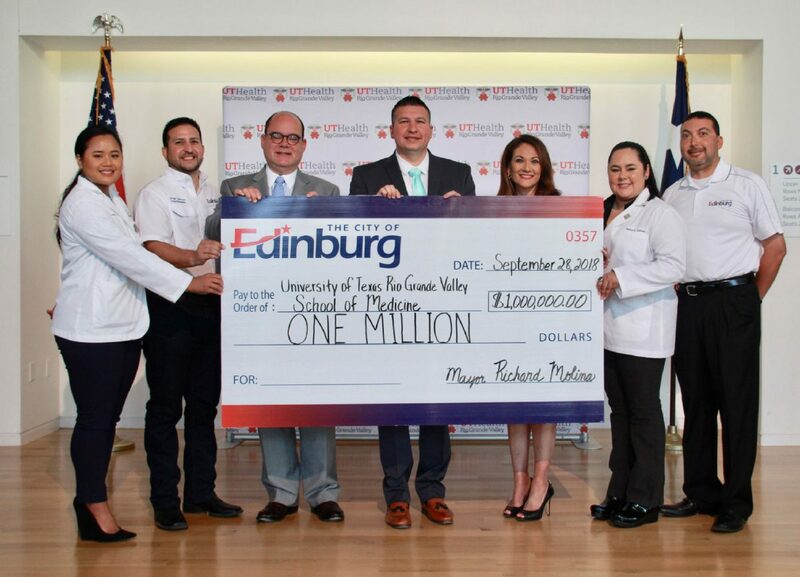 For the third consecutive year, the city of Edinburg donated $1 million to the University of Texas Rio Grande Valley School of Medicine. There are currently 155 students enrolled in the UTRGV School of Medicine, which was founded in 2016. 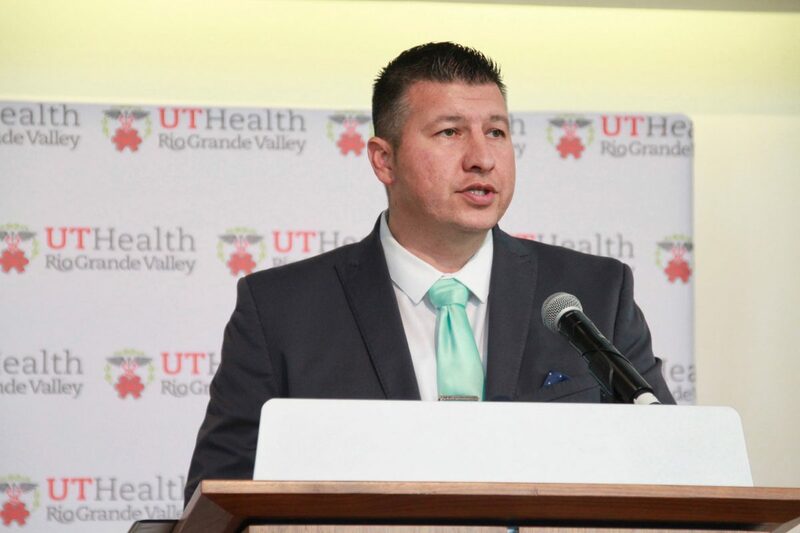 Earlier this month, the school joined the UT Health Network, allowing UTRGV to provide low-cost care for their employees. At a check presentation Friday morning, Mayor Richard Molina said investing in the medical school will bring more physicians to the area, which he said will not only increase access to health care in the region, but boost the local economy as well. Stakeholders seen with a check presented at the UTRGV Performing Arts Complex on Friday, Sept. 28, where the city of Edinburg donated $1 million to the UTRGV School of Medicine. Molina added that the medical school also opens doors for prospective doctors in the community. Rachel Salinas, a second-year medical student at UTRGV School of Medicine, is a graduate of Edinburg High School and a former Edinburg ISD teacher. She was starting on prerequisites at UT-Pan American when she learned the Valley was getting a medical school. Dr. John Krouse, dean for the School of Medicine, said the institution is dedicated to expanding care in the Valley. They currently have 170 residents, of which 64 percent chose to stay in the Valley, Krouse said. The money donated by the city of Edinburg will be used to cover the new facilities, faculty salaries and research. Krouse said the School of Medicine focuses on researching diseases that most commonly affect people in the Valley.